Join Zack as he takes a trip to the planet Juno, makes an amazing discovery, and learns the importance of teamwork! 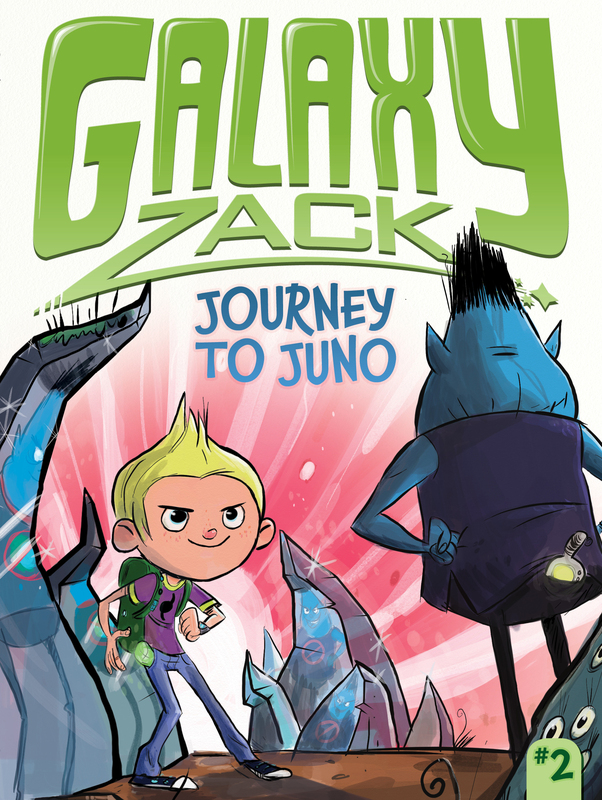 In Journey to Juno, Zack joins his school’s Explorer’s Club and visits Juno, a newly discovered planet of crystals. The group is split into pairs as they begin exploring, and Zack is less than thrilled when he is partnered with Seth Stevens, the Phase 2 bully! Seth is happy to let Zack do the work while he goofs off, so when Zack stumbles upon a really cool object, he hides it so he can show it to the Explorer’s Club himself. But when the time comes for Zack to accept praise for his discovery, will he decide to share the credit? Journey to Juno Chapter 1 Play Ball! Zack Nelson and his friend Drake Taylor sat in the home stadium of the Creston City Comets. A bright orange field spread out below them. Drake smiled and pointed to both sides of the field. Zack looked down and saw two teams of robots. Suddenly a whistle blew, and all the robots scrambled out onto the field. “So people don’t play galactic blast? Robots do?” Zack asked.